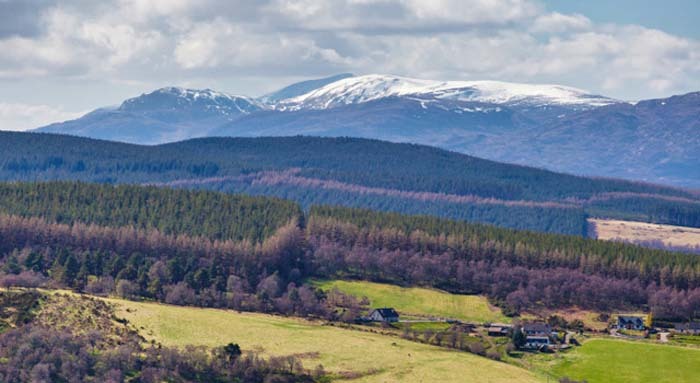 The area around Strathglass Cottage is renowned for its stunning scenery and is a haven for walkers and cyclists. The cottage is ideally placed for hill walking with 13 Munros close by including Carn Eighe (1181m) and Mam Sadhail (1183m). The upstairs windows look out onto the River Glass which runs close by. The Glass joins with the River Farrar and flows into the River Beauly which boasts some great fishing for both salmon and brown trout. Wildlife is abundant with badgers, deer and a variety of birdlife spotted nearby. Such is the range of species that the BBC's Winterwatch, Springwatch and Autumnwatch wildlife programmes have all been broadcast live from a few miles up the road. 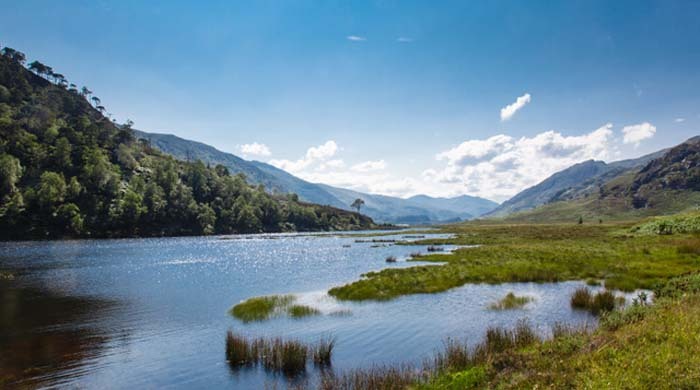 Right on the doorstep of Strathglass Cottage is the beautiful Glen Affric Nature Reserve and Glen Strathfarrar, arguably some of the most stunning landscapes Scotland has to offer. The world famous Loch Ness is a short drive away. There is an excellent visitor centre, Urquhart Castle, opportunites for a boat trip and the chance to spot the Loch Ness Monster! The area boasts plenty of golfing opportunities with the Aigas Golf Course only a short drive as well as the courses at Muir of Ord and Castle Stuart Links. Locally, Beauly offers good amenities as well as the historic priory. Inverness, the capital of the Highlands, is just a short drive away. The city is famous for both its castle and museum. Both Culloden Battlefield and Fort George are close to Inverness and well worth a visit. Day trips to the Orkney Islands run regularly from Inverness - a great way to see some of these amazing islands. If you want to sample a dram of whisky then there are several famous local distilleries to choose from including Glen Ord, Dalmore, Tomatin and Glenmorangie ... which will be your favourite?! Lawn and patio area with table and chairs. Strathglass Cottage is a contemporary oak floored cottage offering excellent holiday accommodation. Upstairs there are two bedrooms, a double at the rear looking up the hill into the pine forest and a twin looking out across the glen to the River Glass and beyond. Both rooms are light and airy with comfortable beds. Downstairs there is a good sized bathroom with a shower, WC and a wash hand basin. To the rear of the house is a well equipped kitchen and to the front a living room with a leather three piece suite, a flat screen TV and a DVD player. Outside the cottage is a small patio to the front and a larger patio to the rear with a grassed area. The garden area of the cottage is completely enclosed and secure - ideal if you are bringing dogs on holiday with you. Strathglass Cottage boasts plenty of room for off road parking. If guests bring their own canoe they can access the river glass 500 yards away. Depart Inverness on either the A9 or A82. Strathglass Cottage is on the A831 in Struy. 300 yards past the Struy Inn on the right heading toward Cannich. This gorgeous 2 bedroom cottage is set in a beautiful highland glen with superb walking and cycling. It's a great location for a fishing holiday too, with some of the finest highland salmon and trout rivers in the area. If you're looking for a pet friendly cottage in the highlands of Scotland then this is perfect!